At San Diego Comic-Con, where Gunn’s scheduled appearance to promote a horror movie he produced for Sony was pulled at the last minute, the firing prompted executives to gossip about whether Disney had overreacted. (The consensus seemed to be yes.) They repeatedly came back to the same question: What is actually going on here? Over the past year or so, the entertainment industry has become used to watching celebrities and other public figures being forced from their positions in large part due to pressure from social media. The escalation grew parallel to the #MeToo movement — initially, actors like Jeffrey Tambor and Kevin Spacey were forced to quit, fired from existing projects, or replaced during reshoots. Then, completed projects were shelved amid sexual abuse allegations, prompting much hand-wringing about ruined careers. All of this was primarily driven by social media discussion around the perpetrators’ alleged actions, spreading the word far and wide and making it impossible to avoid the accusations. The sexual abuses of the most infamous targets, Bill Cosby and Harvey Weinstein, were “open secrets” that went unpunished for decades — until the allegations went viral on social media. The movement went beyond the entertainment industry, and beyond sexual harassment stories. Bill O’Reilly believes activists on social media got him ousted at Fox News. Similar protests against Laura Ingraham and Sean Hannity met with varying degrees of success. Entire groups, like Sleeping Giants, exist to leverage social media into social pressure around a specific political agenda. Gunn is a curious target, following Cernovich’s logic. He doesn’t really work with child actors, although the Guardians of the Galaxy movies are clearly aimed toward children to some degree. But he was an easy target; the jokes he tweeted between 2009 and 2012 were crass at best (“The best thing about being raped is when you’re done being raped it’s like, ‘Whew, this feels great, not being raped!’”), and it’s easy to take offense at them. Never mind that he had previously addressed and apologized for similarly offensive comments before the release of the first Guardians of the Galaxy movie, writing, “It kills me that some other outsider like myself, despite his or her gender or sexuality, might feel hurt or attacked by something I said… I’m learning all the time. I promise to be more careful with my words in the future.” His tweets could be retrieved via internet archives, and could be used to make the point that Gunn has said particularly inappropriate things. Gunn’s experience was not unique. It had a curious parallel to ABC’s firing of Roseanne Barr in May after she posted a racist tweet. 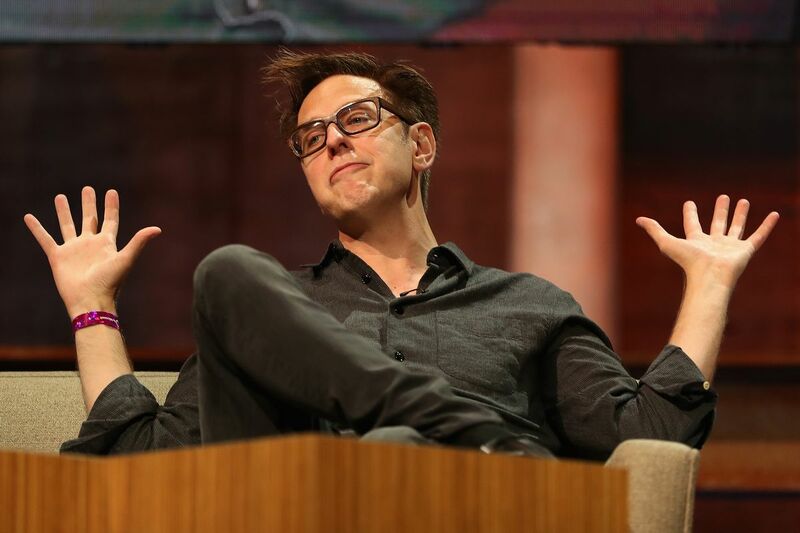 Again, the action taken was decisive and fast — and, for that matter, taken by a Disney-owned company, which described the language used in the tweet at the center of the controversy as “inconsistent with our values.” If anything, ABC’s actions in response to Barr’s tweet were more dramatic than Marvel’s treatment of Gunn. He was simply fired from the studio, whereas ABC cancelled the Roseanne revival entirely, affecting many more people. Many people have already heeded this lesson, including Star Wars: The Last Jedi director Rian Johnson, who deleted 20,000 old tweets last week, explaining, “It’s nine years of stuff written largely off the cuff as ephemera, if trolls scrutinizing it for ammunition is the new normal, this seems like a ‘why not?’ move.” Twitter isn’t for fun banter and a glimpse inside your favorite people’s minds in 240-character chunks anymore, it seems — it’s a potential weapon. It could be argued that the true losers in this shifting dynamic are the fans. Celebrities will surely be less likely to share thoughts that win fans’ hearts, for fear of provoking corporate upset at some point in the future. We’re already living in a world where Kelly Marie Tran reportedly left Instagram because of fandom, which points to an oncoming sea change in the relationship between fan and celebrity cultures moving forward. Instead of being positive for both parties — celebrities building their brand and fan base, fans getting the chance to feel closer to their idols — it is increasingly becoming a more troubling and complicated arrangement in which neither side may get what they want. Given this outcome, is there even value in maintaining such a relationship? Instead, the true takeaway might be watching as studios come to terms with the idea that everything surrounding the promotion of a project — if not the very existence of a project — can and will be weaponized by forces with their own agendas, and how they ultimately choose to adapt to this new media landscape. One potential positive sign was Adult Swim’s statement in response to a push to get Rick and Morty creator Dan Harmon fired. The internet got to watch in real time as the network parsed out the idea of “what he said did not reflect our values, but we value him for his other strengths, and we stand by him anyway.” Disney has yet to master that message. It’s likely an indicator of how bad things have become online that Rick and Morty offers a signpost to a better future. But at least this one comes without the threat of riots at McDonald’s.